Wow, dreams really do come true. 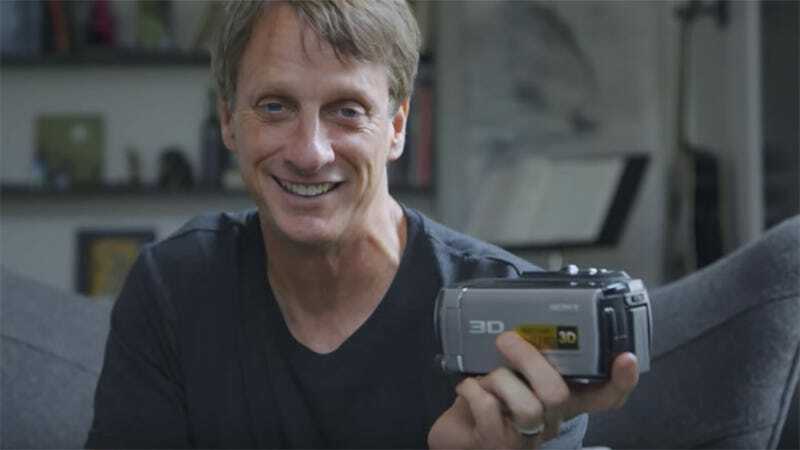 Yesterday, I wrote a letter to Tony Hawk asking him if he’d like to geek out together over cool gadgets and other technology. Today—the legendary skateboarder has accepted the challenge! This all began after the Ride Channel released a video yesterday starring the legendary skateboarder, who apparently loves a lot of the same technology and gadgets that I do. In the video, Hawk shows off his master collection of sweet gear like his Hi8 camera, Oculus Rift, 3D printer, AIWA auto-reverse tape player, and even a miniature 1984 Apple Mac computer. Now, at 1 pm Eastern time, the Birdman has agreed to answer your questions about hover boards, video games, technology, gadgets... and just about anything else you want to ask him. Please join us by submitting questions below!